Last week, I posted that I had gotten an iPad and shared what iPad apps we were using 48 hours into using it. Week Two with my iPad and I’m still loving it more than ever. I’m not afraid to explore all sorts of different apps and I’ve installed and deleted many. I tend to really rely on the ratings on the iTunes store – I find that that masses tend to be right and the higher ranking apps are ranked so well for a reason. I’m also truly shocked at how much I’m really using it. Where I always held back from getting an iPad because I thought it would just be a toy, it’s becoming so much more. Tonight I used it to read at bedtime with Nate via the iBooks app – Free to download. 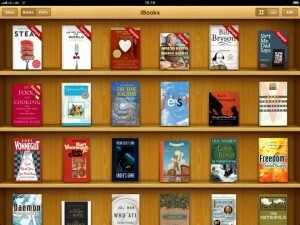 This is basically the e-reader function and app for the iPad. While I will say that the library is not anywhere near what I have available with Amazon on my Kindle, it’s sufficient for now for what I want to do with it. Which is to read to my kids. I’ve only downloaded free iBooks and tonight Nate and I read the cutest book. I’ll admit it, I’m totally addicted to Fashion Story – Free to download. In this virtual game, I own a fashion store and I make clothes daily and try and keep my customers happy. It’s totally mindless and totally addicting. 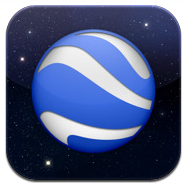 Google Earth – free to download – is an amazing application. We’re fascinated with it. The boys are loving looking at various parts in the world, but the best places we love to look at are places we’ve been and our own house. We visit our house daily as well as Mom-Mom and Oompah’s in Florida, Granny’s Beach House and various friend’s houses. ipad apps are quite interesting! i like to use my google earth on my android too.